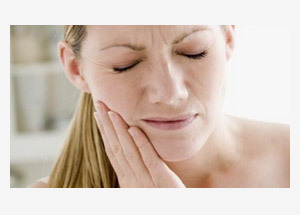 Temporomandibular joint dysfunction, more commonly known as TMJ, affects more than 15 percent of American adults. Common symptoms include an uncomfortable bite, pain in or around the ear, headaches, bruxism (grinding of the teeth), tenderness of the jaw, clicking or popping noises when opening and closing the mouth, and even neck aches. 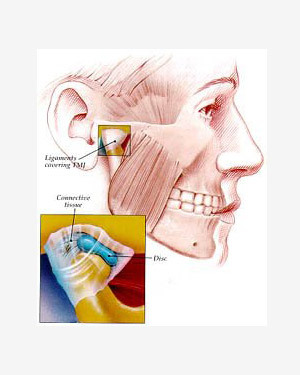 There are many causes of TMJ disorders including traumatic injury to the chin, jaw, or TMJ itself, missing back teeth, and/or poor alignment of the jaws, poor alignment of the teeth, arthritis, stressful situations, normal tooth wear over time, or poor dental treatment that adversely affected the bite to a more open or closed position than normal. These disorders often lead to clenching of the teeth during the day and grinding of the teeth while sleeping (bruxism), which in turn causes a great deal of damage to the teeth and the TMJ itself. Failure to treat TMJ dysfunction early on can lead to serious damage of the joint and possible need for surgical intervention. Headaches are one of the most common symptoms of TMJ disorders. Forty million Americans who suffer from headaches may have been improperly diagnosed. “Migraines,” tension headaches, and sometimes even “sinus” headaches are diagnosed based on subjective symptoms reported by the patient, sometimes leading to incorrect diagnosis and treatment. Medical specialists may not be aware of the link between the bite and headaches. Most people with the condition were not aware of what a correct bite felt like because they always had a conflict between their teeth and jaw. We are trained to determine whether there is a link between headaches and the bite for individuals we see with headaches. We can treat these problems without medicine, by helping the bite fit better with various modalities including bite analysis, equilibration, night guards, and occlusal splint therapy. It is our goal to achieve maximum improvement with comfort and normal function for our TMJ treatments, while using the least invasive and most conservative plans possible. For most patients, the ideal result can be achieved, while for others, considering the nature and stage of the illness, effective management may be the maximum goal. For some, simple treatment designed to relax the muscles and reduce inflammation may be all that is needed. For others, more comprehensive diagnostics and dental restorations will be required.